The Japanese Club Nintendo Platinum Awards have been announced, and Japanese gamers who have been able to rack up that many rewards will earn a download code for Advance Wars: Days of Ruin for 3DS – a rare title in Japan – as well as the above 2014 calendar. Unfortunately no awards will be handed out for Wii U owners, and there is speculation that this could be because of Wii U’s dismal Japanese sales as of late. Recipients of the awards will be able to begin downloading their free game on October 30th. That’s an amazing game. I’ve played it through several times. I wonder what US will get. Didn’t they already do those though? 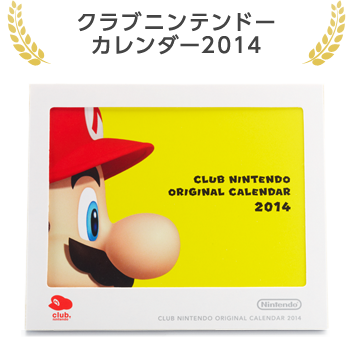 Yup, posters, eshop games, and that crappy calendar. And this is relevant to your mostly English-speaking (though some do indeed possess a most tenuous grasp of the language) readership because…? Because it is good to know what other regions are gettin, it might be an indication of what the rest will get. Might. Because it’s funny to point fingers and laugh at those least fortunate. I doubt the Wii U sales have anything to do with it. If that was the case, they’d probably have something FOR Wii U to get people wanting to get one. i have a prediction that USA platinum rewards will be majoras mask soundtrack, a poster set or a calendar. LOL, and I thought US rewards were crappy (they still are though)….